This traditional Chinese dumpling is made with the best pork on this planet - free-range Wairapa LongBush Pork Shoulder. The Prancing Pork Dumplings were my third box of dumplings to try and oh my goodness I love these. I chose to steam them and then lightly fried them to crisp them up a little. They were so succulent and tasty I ate the whole box in one sitting and wished I had more. I couldn&apos;t get over how moist the pork was and these dumplings are definitely a close runner up to the Full House box which is front runner only because of the many flavours it had and I like having some variety to choose from. 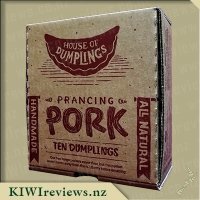 If you are a meat lover however then these Prancing Pork Dumplings area winner with the NZ free range pork. I am always a bit sceptical of pork so I really appreciate knowing that this pork was locally sourced and is free range from the Wairapa. As with the other dumplings I love the packaging and appreciate all the cool illustrations and information on the box as well as the ingredients being all natural so I know I am putting goodness into my body. 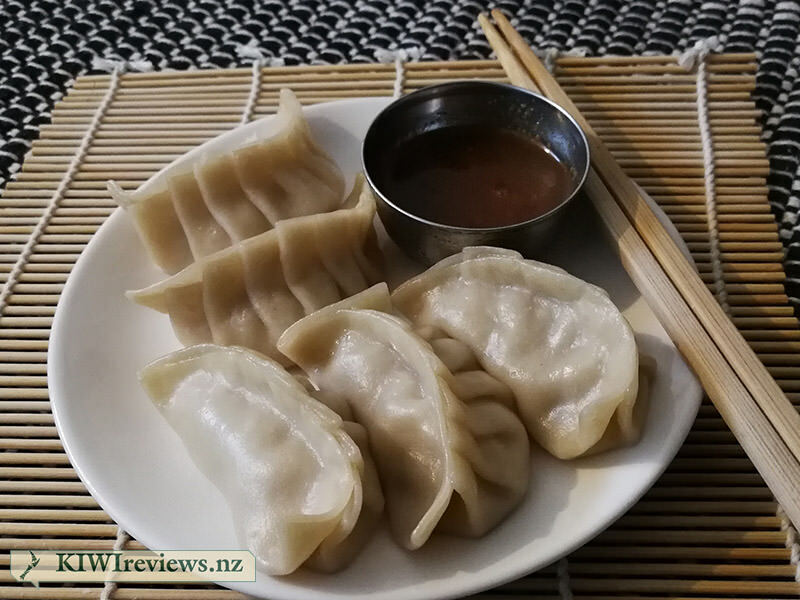 I wouldn&apos;t buy these at full price but if price is no concern then I can definitely recommend these Prancing Pork Dumplings and I am sure that you will love them as much as I do. So dumplings arent the easiest things to make. Tried it a few times in the past when I was flatting but never could get them to stay sealed up tight so always ended up with them slowly breaking up in the steamer. 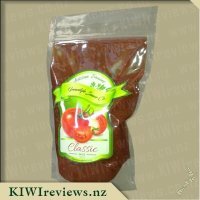 Ive tried some of the cheap ones from the supermarket but some tasted plastic and others tasted dull but these ones had a great flavour and didn&apos;t feel like I was chewing on rubber chewtoys. They were really easy to cook too. I have a small steamer pot I use for veges so it was easy enough to do them in that. Didn&apos;t even need to oil it because its already got a nonstick coating. I steamed them for 9 minutes because I didn&apos;t want them to be chewy and that worked out right for me. They were soft but not soggy and didn&apos;t fall apart when I lifted them out with tongs. I served 5 of them up with some of the dipping sauce on the side and got stuck in. Yeah they didn&apos;t last long so I ended up cooking up the other 5 as well. One box was one meal and I am pretty sure I could have maybe squeezed in another 3 or 4 before it got too much. Expensive meal eh. If I get these again I think it might be a good idea of me to use them as part of a meal instead of a meal on their own then maybe I can get 2 meals out of them. Some veges or rice or maybe some noodles or something. 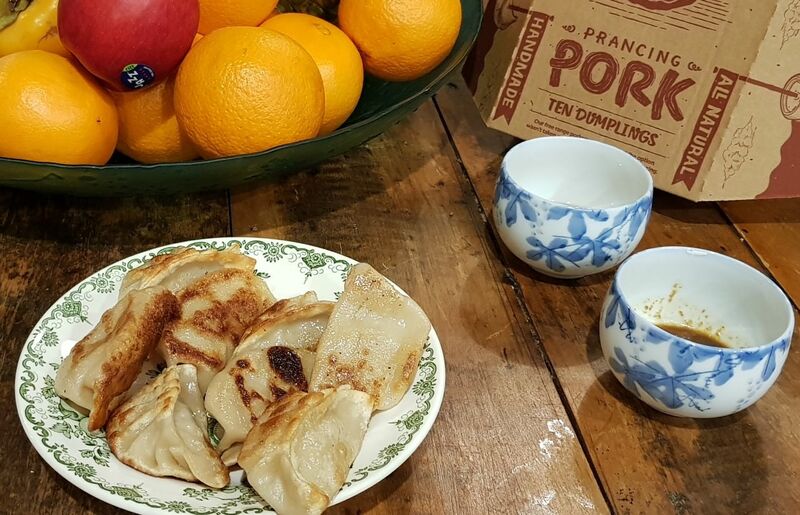 When I told one of the flatties he told me his mum used to make dumplings like these and served them up on a bed of mashed spuds. Nah I don&apos;t think that would have been the right one for me but it shows ya that some people will eat some interesting combos eh. I think I will get these again maybe, but not until the monthly bonus has come in coz they wont fit in whats left of my weekly paycheck. 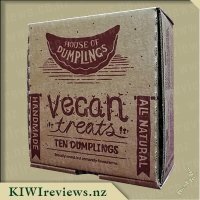 This is the second flavour in the House of Dumplings range to try, my partner and I decided to try these out while the kids weren&apos;t around so we had more to ourselves! This brand is very visually appealing as the box is simple but effective, fully recyclable and easy to break down and throw in with the paper recycling. Take the time to read the instructions, not because you might need to know how to cook dumplings but because some of the instructions are rather funny! There is also a little inspirational quote hidden on the box that you will find when folding the box flat. 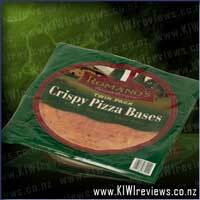 Also appealing to us is the fact that these are made from free-range pork and they are handmade. 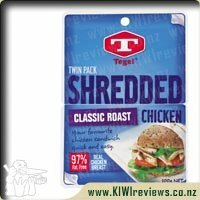 This is reflected in the price though, they are not cheap at $19.95 a pack of 10, add to that the fact that one box is one serving and it makes for a pricey meal! Taste-wise, they definitely have an authentic taste though it was plain compared to the chicken, probably because the chicken had coriander in it to add to the flavour. That said, I did have trouble telling the difference between the pork and the chicken that we also had in the same meal, my partner made the same comment. They come with a chilli and ginger sauce which I didn&apos;t enjoy not being a ginger fan but I&apos;m sure many would. We had them with a salad and it made a nice easy meal to cook up. Overall, while I really enjoyed them but the cost means they are something I&apos;ve very unlikely to buy in the future. 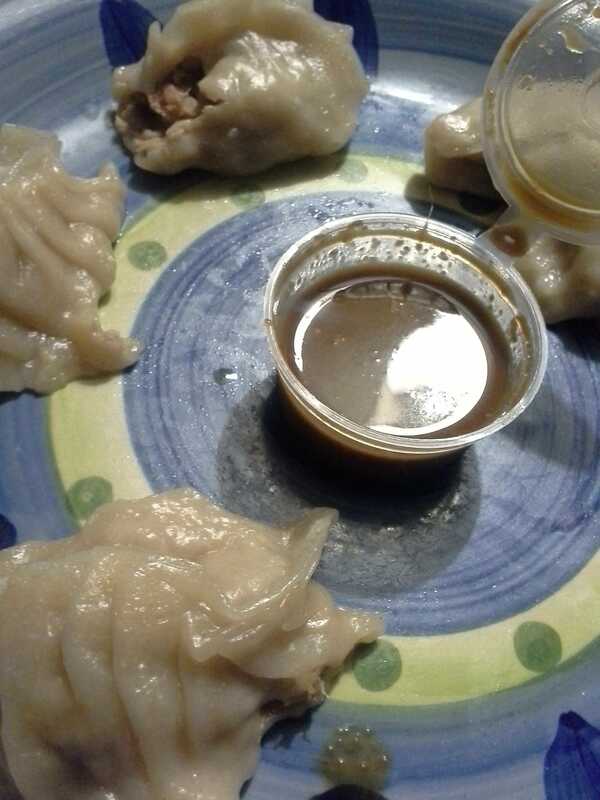 Over the years, I have had the opportunity to try authentic Asian foods many times, and always try to try something new... so dumplings and I are no strangers. I have reviewed a few here, but I have to admit that from the very moment I saw the box, I knew I had something quite different in my hands. Traditionalists will moan about these being frozen, but by the time they were cooked, they looked, felt and tasted as good as any I have eaten anywhere claiming authenticity. After steaming the first portion of these using a stainless steel steamer pan set, I decided not to fry them, instead opting to try them in the simple style, with the included dipping-pot of "Mum&apos;s Sauce". The first dumpling, alas, had partially stuck to the bottom of the steamer despite giving it a wipe of cooking oil first. When I picked it up off the plate, the filling fell out, so I decided to taste the casing and fillings independently. The steamed dough is light and easy to bite through except along the top &apos;ridge&apos; of pleats. There, I found it a little undercooked after 8 minutes, so may be tempted to give it an extra minute or two next time. 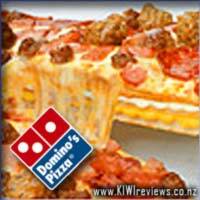 The filling was quite flavourful, with definite herbs and spices sparking off as you chew. Combined, they are quite the snack. For the second batch, I gave them a light frying in garlic-infused rice bran oil and served them on steamed jasmine rice with steamed peas mixed through. I ran a light swirl of sweet chilli sauce and freshly-cracked black peppercorns over the top to set it off. This was a lot nicer, and closer to my taste preferences, however the frying did give the top ridge a very solid texture I found a little uncomfortable to chew through. That said, there are ways I could fry these that wouldn&apos;t cause that issue, so I won&apos;t lay that one at the feet of the dumplings. At nearly $2 per dumpling, these aren&apos;t the least expensive ones around, but I still feel inclined to pay these prices for quality, handcrafted goods that are healthy, tasty, and simple to make look good. They aren&apos;t widely available, it seems, so I found it handy to check the locations list on their website. I also petitioned my local supermarket to look into getting them in, and that can help. 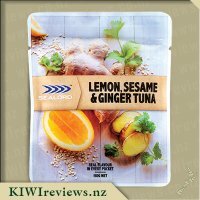 Overall, I found these to be a bit of a mixed bag, but definitely the top-runner when it comes to looks and flavour, because I like my food to look as appealing as it tastes, and vice versa. I would buy these again, but not too often. One I will be keeping in mind when I next have guests over who want to widen their menu a bit too. Since we were all blown away by the &apos;Full House Dumplings&apos; we could not wait to try the other two flavours that I had to review. So tonight&apos;s dinner was a little free for all. My husband had purchased another variety of dumplings last week so it was decided that we would have a sort of cook off with a side dish of noodles with vegetables. I cooked them both the same way by placing a paper liner in the steamer and then placing it into a pan which had water added to it just below the base line and cooking for about nine minutes. We tried the other variety first and &apos;yuck&apos; I can not stand slimy dumplings and only managed one bite where as the other three judges ate them but all commented that they were watery and very tasteless. Next up was the House of Dumplings flavour and after a tiny bite I have to say &apos;ding ding ding we have a winner&apos; I then was a little silly and put my dumpling into the sauce that is provided - yeah will not be making that mistake again, dipping is very good but drowning not so much. I then took another one and slowly devoured it and enjoyed the flavour. It was unanimous, everyone agreed that this was the winner hands down and all four of us were left wanting more. 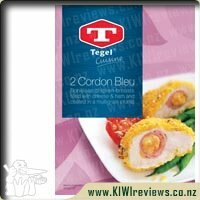 Not only does the texture work but it was full of flavour and it had that extra quality to it. The only down fall I have is the price. If it was just my husband and myself I could quite easily have five of these along with a side dish but I could not justify sharing these with our girls and only getting two maybe three each. 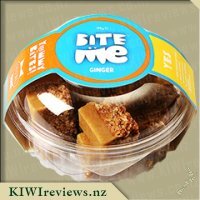 If I find them on sale I would easily buy a box or two but the price is a little scary for me personally. 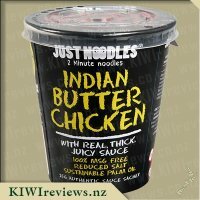 It is a shame because we all really enjoyed them and they are so easy to cook and when you add it with noddles or a rice dish it is just perfection. A box of dumplings to serve as an entree for a home-made stir fry and three good friends to share the feast - what could be better? We all love dumplings; I have even been known to make my own, but they never look quite the same. You need to have the knack of getting the proportion of pastry to filling just right, and then add just the right quantity of seasoning. First impressions were highly positive. Everyone gave them a resounding thumbs up on the taste test. The flavour was superb, with a plump, juicy filling that was appreciated by the confirmed carnivore present! (One friend observed that they were cooked to perfection, but I insist on taking responsibility for that bit.) The pork flavour was not too strong, but was definitely recognisable with House of Dumplings not stinting on the ratio of meat to cabbage. I am glad there were four of us present as I could quite easily have devoured the whole box myself! The packaging impressed all of us. 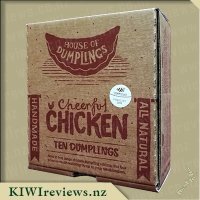 The boxes are designed with style in mind; like the dumplings themselves, they are well crafted and there is plenty of information about the product printed on every available space. We laughed at the reference to the flying pigs, cleverly rephrased to highlight the fact that the meat is free range. The cooking instructions are set out very clearly as are the allergen warnings and the storage instructions. One point of difference for us was the price. 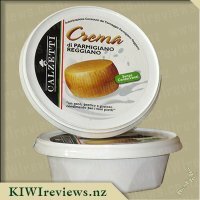 They are a quality product, hand made from local ingredients, and this guarantee is reflected in the cost. Personally, I would be prepared to pay a higher price for an occasional special dinner, but two of my guests disagreed so it ended up as two against two. However, all four of us agreed that these were almost certainly the best pork dumplings we had ever tasted, so you can&apos;t have everything. And if two people shared one box as an entree (or one person ate the whole box as a complete meal) the price would compare favourably to what you would pay in a restaurant. A wonderfully spicy blend of hazelnuts, almonds, roasted sesame seeds and fresh spices including coriander, paprika and chilli. 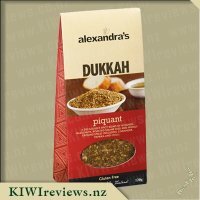 Alexandra&apos;s unique Piquant Dukkah is made with 14 ingredients.